Lose yourself in an ever-changing landscape that brings together nature, art and architecture in 1,200 lush acres. A day at Balboa Park in San Diego is an incredible cultural experience and true urban adventure. Discover exciting attractions like the San Diego Zoo and Balboa Park Carousel. Explore 17 museums and cultural institutions, including Fleet Science Center, San Diego Art Institute, and the San Diego Museum of Art. Be entertained at the many performing arts venues, including The Old Globe and Civic Dance Arts. Stroll the trails that wind through manicured gardens and open spaces. Treat yourself to an unforgettable escape in the heart of the city. Admission to the park, most gardens and the Botanical Building is free. Other cultural attractions require an admission fee. Check with each attraction for pricing. Balboa Park itself is open 24 hours a day, seven days a week. The Visitor's Center is open from 9:30 a.m. - 4:30 p.m. daily. Museum hours vary. How old is Balboa Park San Diego? The idea of Balboa Park was born in 1868, when 1,400 acres of land was set aside by San Diego civic leaders. It has hosted several World's Fairs since that time. The park is named after Spanish-born Vasco Nuñez de Balboa, the first European to see the Pacific Ocean during explorations of the new world. How many museums are there in Balboa Park? 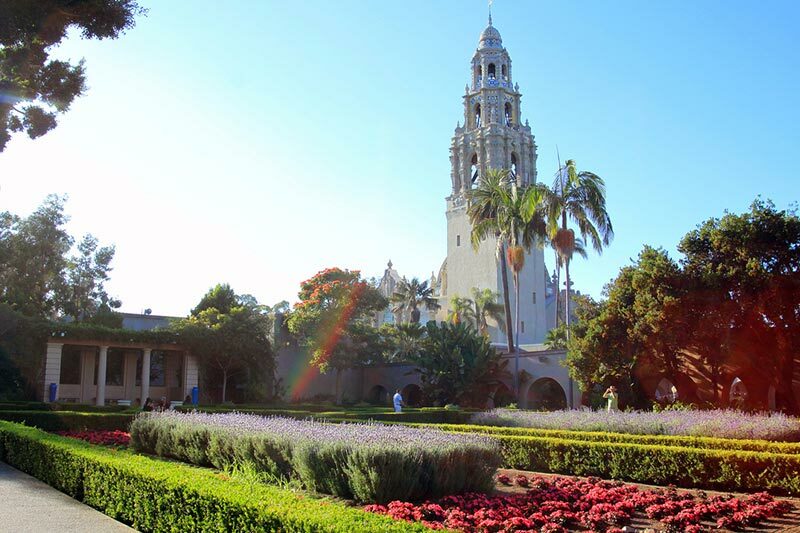 Enjoy 17 diverse museums during your visit to Balboa Park. Visitors of all ages can learn about local San Diego history; arts, crafts & culture; fine art from around the world; the history of cars, planes and trains; photography; geology; natural history; architecture and botanical treasures from the Far East.